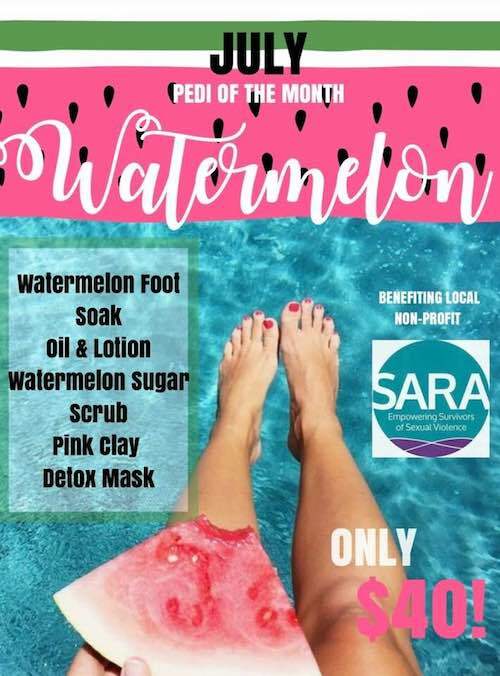 Our July Pedi of the Month will be benefiting SARA, Inc.
Their Vision is is to eliminate sexual violence in the Roanoke Valley. Their Mission is to respond to sexual violence in our community through an empowerment model that is trauma-informed, collaborative, and multi-disciplinary. 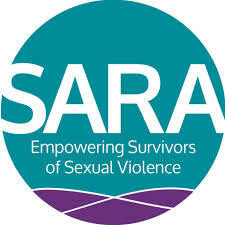 All counseling services at SARA are free, voluntary, and confidential. All services are provided by our professional staff. SARA provides counseling for survivors and their loved ones ages 13 and older.